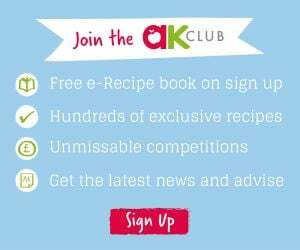 Home » Holidays » Bonfire Night » Fireworks Night Food with a Bang! 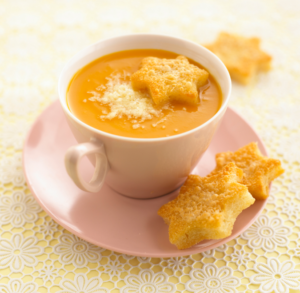 Looking for some fun family-friendly food ideas that will add some bonfire night sparkle to your family’s plates? Annabel has shared her favourite treats to help your night go off with a bang! Whether you’re preparing tums for the great outdoors, or warming up after watching the sky light up, here are some bright ideas to bring the ‘wow’ factor to your table. These cracking sausage rockets will help your night go off with a bang. Quick, easy, delicious and sure to put a smile on everyone’s face! After an evening out in the cold watching the fireworks, warm up tums with a comforting bowl of soup served with a wedge of homemade bread for some serious (and well deserved) dipping. 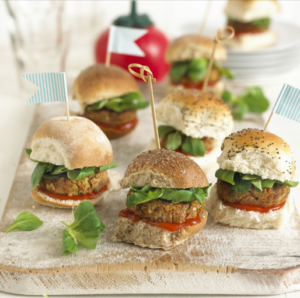 These mini chicken burgers are the ultimate crowd pleaser. They are also great for toddlers who love food they can pick up with their fingers and these will definitely prove hard to resist! 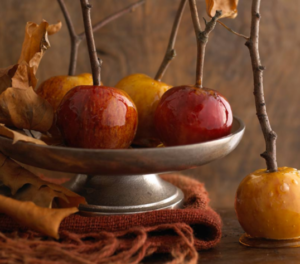 What screams Bonfire Night more than Toffee Apples? Make it an evening to remember with these beautifully crunchy and crisp treats the whole family will love. 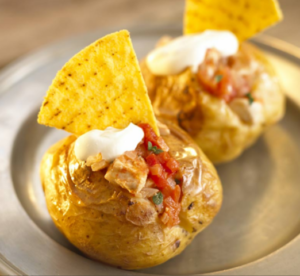 Shake-up your jacket potato offering by adding a bit of whizz and bang with this incredible mouth-watering filling. Guaranteed to be the ultimate comfort food on a cold night. Who doesn’t love a brownie? Why not whip up a batch to take out and about with you this Bonfire Night so you’re ready to re-fuel. 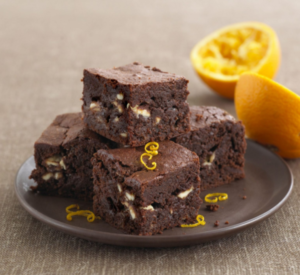 These are particularly moreish and with a hint of orange zest they could well be your new favourite gooey-chocolatey treat.